Six days of orienteering in the Medicine Bow National Forest, including a one-may relay, four National Ranking Event days (one Middle & three Classic), and the 2018 Western States Championships. 84.8 ebone Most likely. 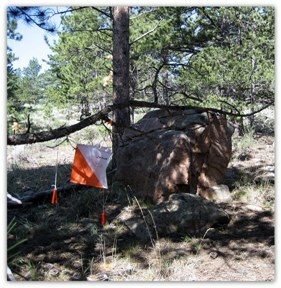 Laramie orienteering is so sweet! 66.1 acjospe (log) Anybody want to share a car? 57.3 Cristina (log) hope so! 54.6 Nadim (log) Missing a day, but it'll be nice to be back there. 47.7 ioana and Brian and the kids. Anybody camping? 40.1 bl (log) New consideration, all things considered.